Nearly two dozen tornadoes were reported across Louisiana, Mississippi, Alabama and Tennessee on Tuesday, the second to last day in November. That may seem like a strange time for so many tornadoes, but November is no stranger to tornadic activity, especially in the Southeastern United States. 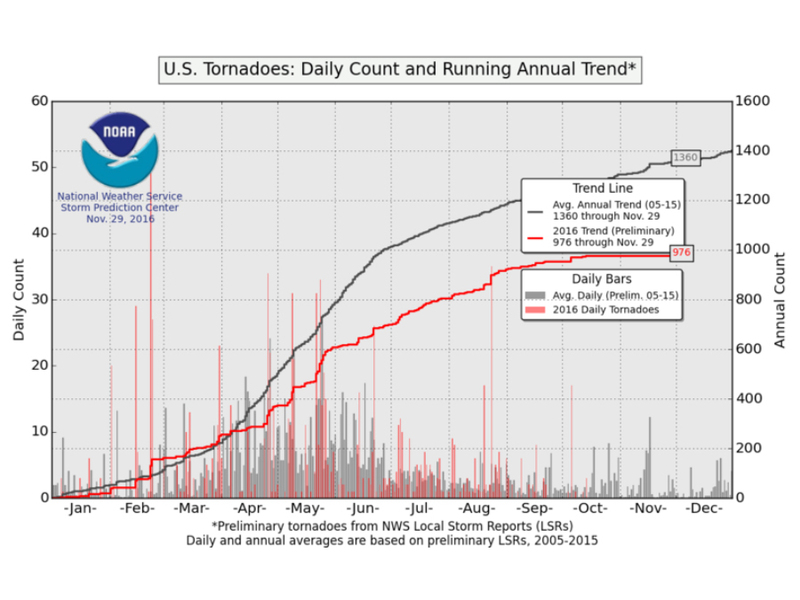 Looking through historical data, most tornadoes do occur in April, May and June, but there's a secondary spike of tornado activity in November. Despite the recent burst in severe weather, 2016 has been a relatively slow year for severe thunderstorms — storms producing winds in excess of 58 miles per hour, hail an inch or larger or a tornado. 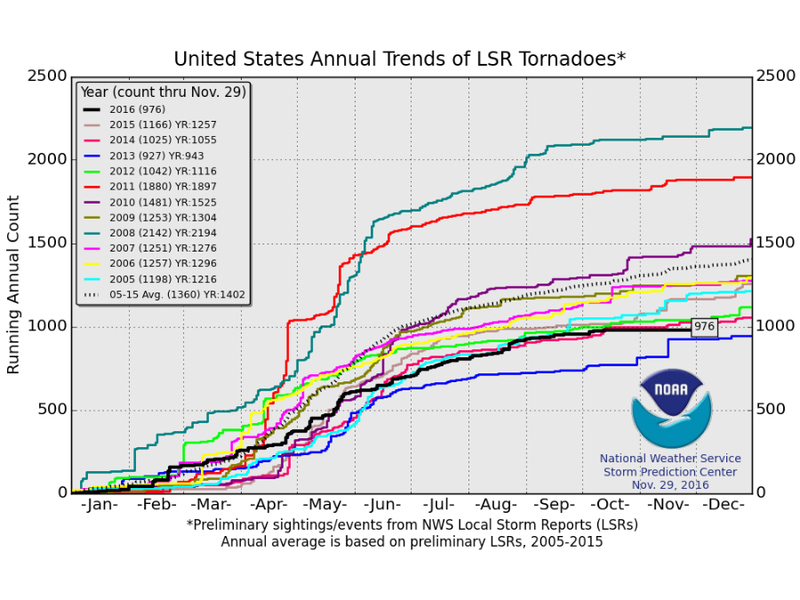 The tornado count for 2016 is well below average and so far the second lowest in the last 10 years, only surpassing 2013. 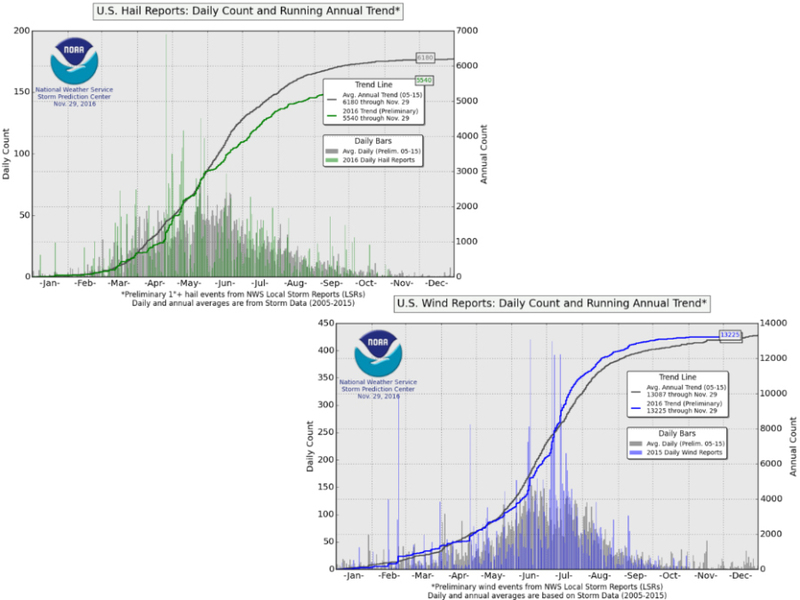 The number of hail reports is also down for the year. The only type of severe weather that's bucking the trend is the number of severe wind reports, which happen to be slightly above the average. Heading into December, the number of severe weather reports typically drops off, but that doesn't mean there aren't exceptions. Just last year in 2015, two big severe weather outbreaks occurred in the last week of December, one on Dec. 23 and another on Dec. 27. With warmer weather seeming to linger across most of the U.S. this fall, it wouldn't be a surprise if we saw another severe weather outbreak before the year is out.